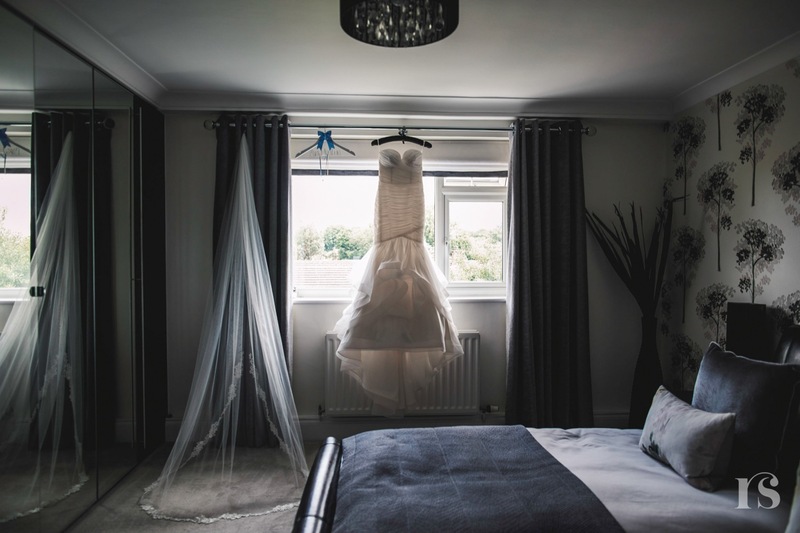 Lillibrooke Manor is such gorgeous venue and remains one of our favourites! We were recommended to Lucy + James through a client who’s wedding we hadn’t shot yet - The ultimate compliment! Thanks again Sam + Joe! Their beautiful (Lillibrooke!) wedding day will be hitting the blog soon. We spent the morning with Lucy and the girls for prep before heading off to the venue to meet James in the sun soaked Cloister Gardens, the spot where they said their “I do’s”. Their ceremony was so much fun thanks to the lovely celebrant Jeannene. The Lillibrooke ceremony wasn’t the ‘official’ one as they had planned to say their vows on the Vegas leg of their American honeymoon adventure a few days later. After we headed over to the Manor House Gardens for the drinks reception. Canapés and Fizz was enjoyed by all the guests whilst we went on the lookout for a shady spot to take the group photos. Thankfully this wasn’t a hard task at all as the grounds at Lillibrooke are so large, giving us plenty of choice. The meal and speeches were held in The Great Barn, decor was stunning, there is just something about a rose gold theme! Later in the day, we took some time out with L+J to take portraits - the sunny day meant we had the perfect weather for the evening. The evening reception was one huge party. Everyone was up dancing, thanks to the super talented Musicians on view, including the groom himself! James is the guitarist/vocalist in The Deps - An incredible wedding band, you MUST check them out for your big day! Congratulations again guys, what a day!